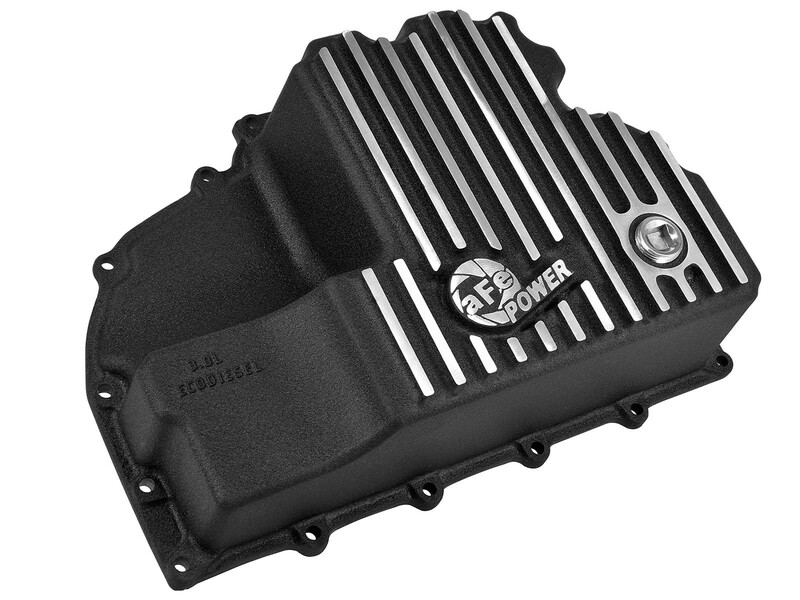 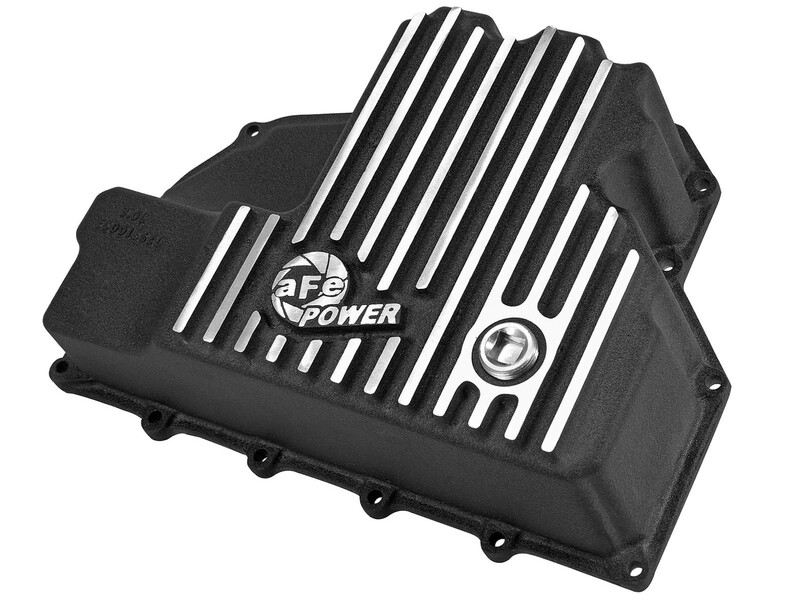 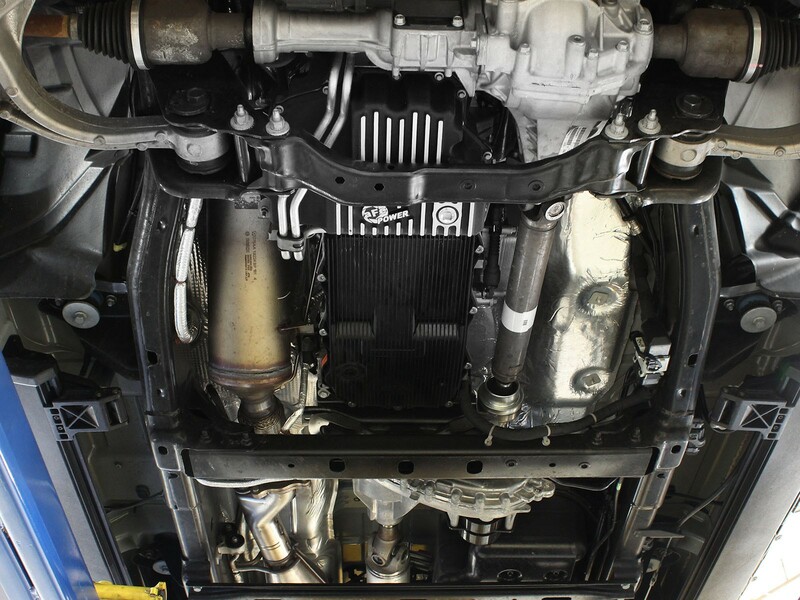 aFe Power's new engine oil pan brings performance engineering to the protection of your RAM 1500 EcoDiesel w/ L630 engines. 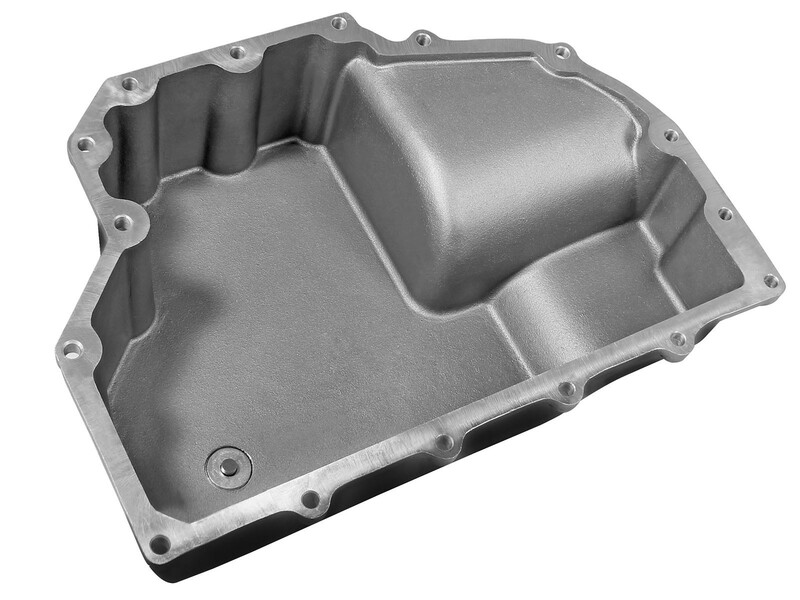 This oil pan is constructed out of durable A356 cast aluminum with machined fins for maximum strength and styling. 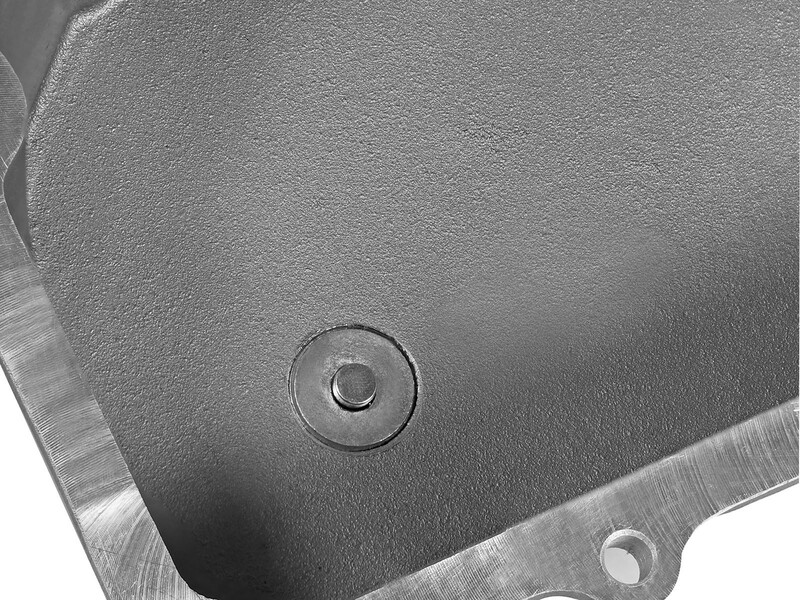 This cover incorporates a magnetic drain plug to capture loose particles for maximum engine protection. 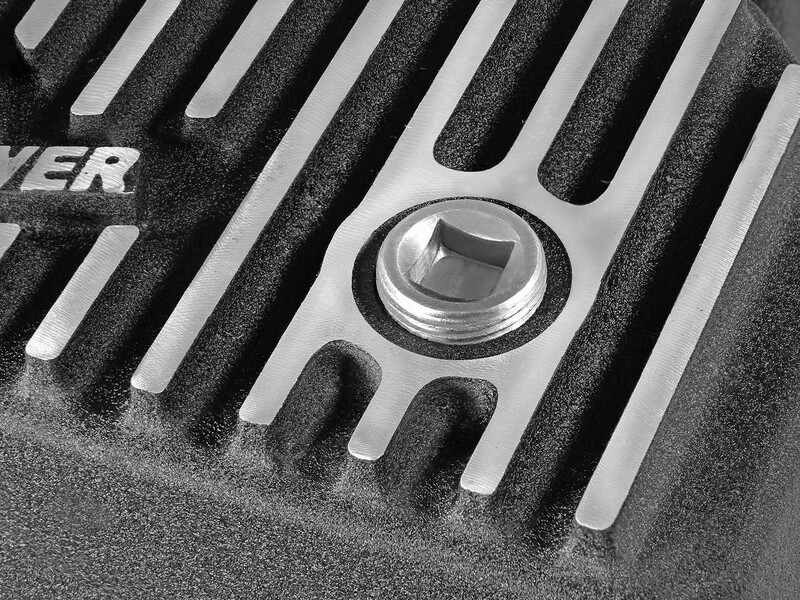 All necessary hardware is included for a hassle-free installation. 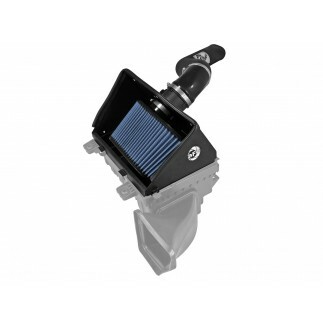 Built-in External fins transfer heat from the fluid to the outside air for improved cooling. 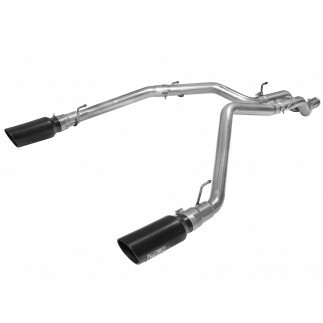 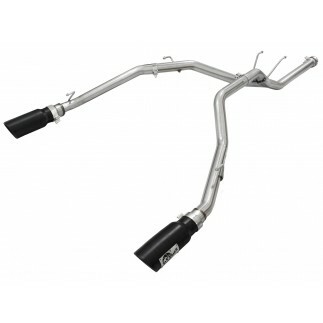 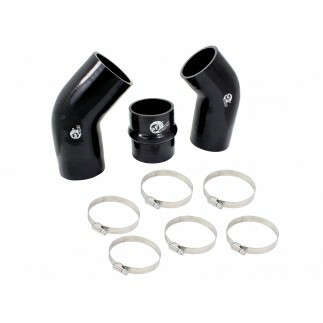 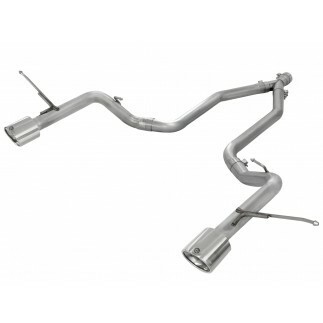 This system incorporates a magnetic drain plug that captures loose particles for maximum engine protection.